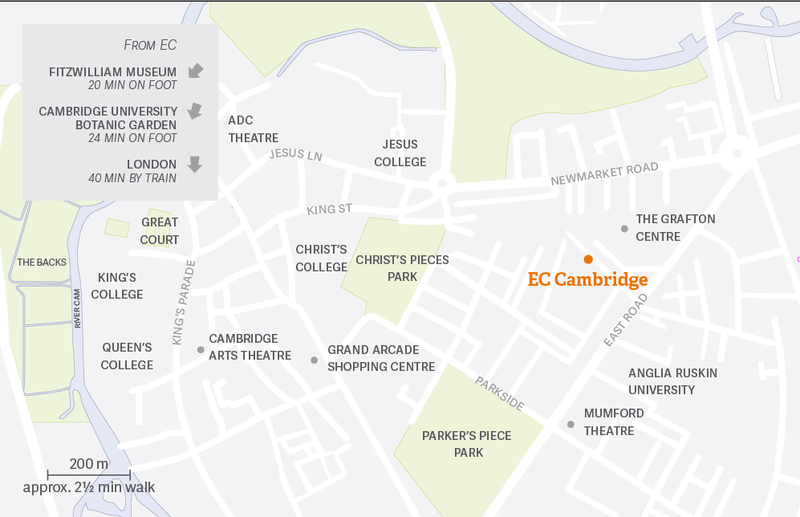 EC Cambridge is one of the only language schools in the heart of the city. The school is situated in a very modern building adjacent to one of Cambridge’s main shopping areas. EC Cambridge School is very nice with graduate personnel, lovely teachers, kind employees and best management of every thing. The school has helped with information on how to obtain a visa, how I can find a job, write a CV and find a university. I will never forget their help and the days I have spent with them. I've always believed that the more effort you put into something, the more you get out of it and I think this is totally true when it comes to learning or teaching English. I love trying to create exciting, energetic lessons which encourage my students to respond in an enthusiastic and productive way. In this way they learn and have fun at the same time! Great views from one of the highest points in Cambridge. Meet in front of the school. Our most popular activity. A great place to meet new people and unwind after a hard week studying!